There once was a boy who loved stars. Every night he watched them sailing in the sky outside his bedroom window and dreamed of making friends with them, playing games of hide-and-seek together. 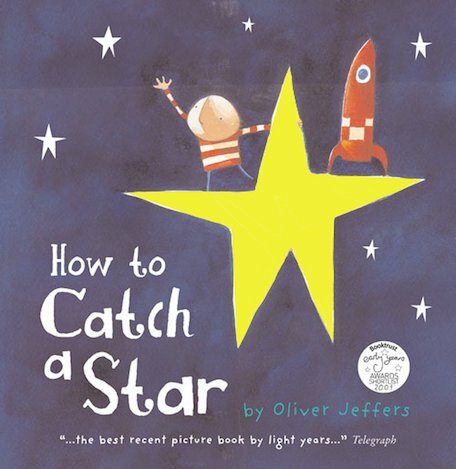 So one day, he decided to catch a star of his very own… From the shining talent of Oliver Jeffers, winner of the Bisto Award, this inspirational, glittering story captures the magic of reaching for dreams.